Week 9 is a big week for byes, as the Cincinnati Bengals, Indianapolis Colts, New York Giants, Philadelphia Eagles, Arizona Cardinals and Jacksonville Jaguars all have the week off. This means plenty of fantasy owners will be turning to the waiver wire to look for temporary replacements. With just five weeks remaining until the start of the fantasy postseason, every game and every point matters. Whether you are looking for that one week stop-gap, an injury replacement, or that high-upside bench stash, CBS Local Sports is here to help. After a brief hiatus, Fitzmagic has officially returned. 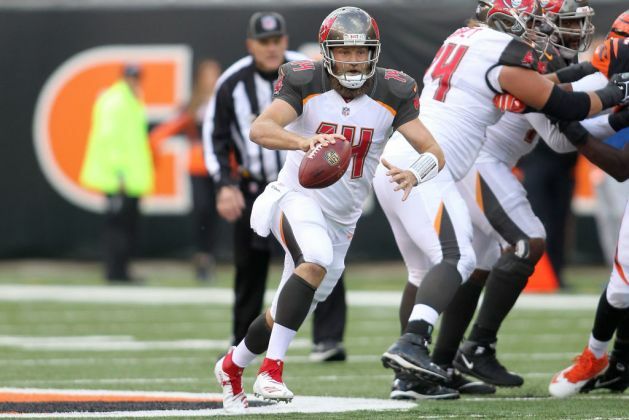 The journeyman quarterback will resume his role as the Buccaneers’ starting quarterback after Jameis Winston was benched following his four-interception performance in Week 8. Fitzpatrick posted at least 25 fantasy points in each of the first three games of the season, averaging over 400 yards per game during that span. Tampa Bay still sports an unreal cast of pass-catchers, all of which are healthy and ready to roll with the veteran QB. If you’ve been streaming QBs all season or looking for a bye-week replacement, you could do a lot worse than Fitzpatrick. Martin was one of the more popular adds last week, as the Raiders were coming off a bye and Marshawn Lynch had just been placed on IR. If Martin is somehow still unowned, move quickly to grab him on waivers this week. Despite looking sluggish over the last few seasons, Martin appeared rather spry in Week 8, carrying the ball 13 times for 72 yards. Meanwhile, Jalen Richard received just two rush attempts on the game (although he did catch eight receptions). Martin is clearly Oakland’s early-down rusher for the rest of the season, which should put him into flex consideration, depending on the matchup. The Eagles backfield has become quite crowded after the injury to Jay Ajayi. Corey Clement? Wendell Smallwood? Darren Sproles? 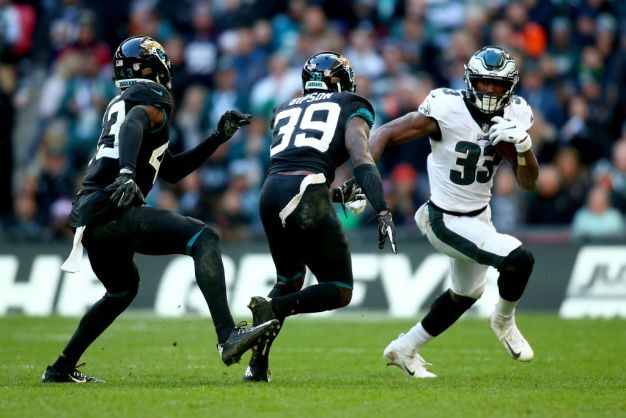 In Week 8, it was actually Josh Adams who led the team in rushing. The rookie back out of Notre Dame ran for 61 yards on nine carries, good for 6.8 yards per carry. There is no telling what Doug Pederson might do on a weekly basis, so adding Adams should purely be as a bench stash at the moment. 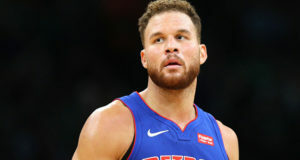 However if he can separate himself from the rest of the pack, Adams would be a valuable fantasy asset for the rest of the season. It is clear that Mack has taken the reigns as the Colts’ lead back. Despite Mack’s success over the last two weeks, Hines has not completely disappeared from the Indy offense. The rookie received 11 carries against the Raiders this past Sunday, running for 78 yards while adding two receptions for seven yards. 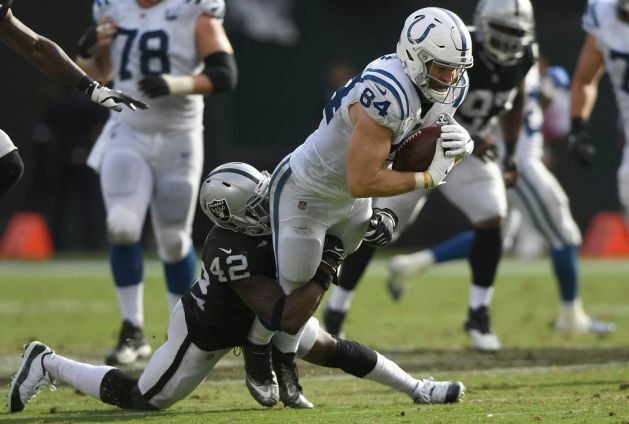 Hines will continue to serve as the team’s pass-catching back, and considering the state of the Colts’ defense, Indianapolis will likely be playing from behind most weeks. 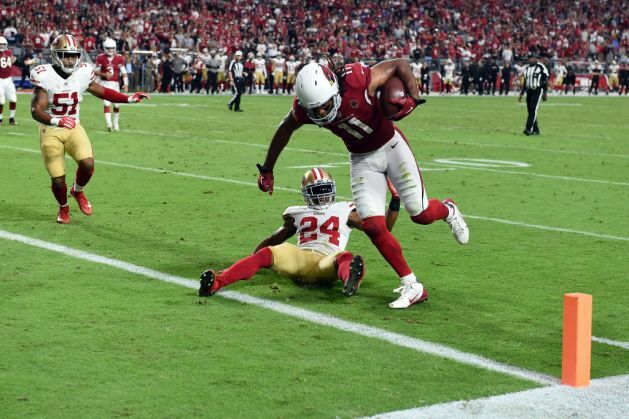 This should continue to keep Hines in fantasy relevance. Following the season-ending injury to Will Fuller, Coutee is the next man up in Houston. 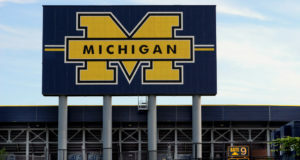 The rookie had shown flashes of his potential earlier in the season before a hamstring injury sidelined him in Week 8. Coutee is now facing a significant increase in playing time, similar to what he saw in Week 4, when he caught 11 passes for 109 yards. 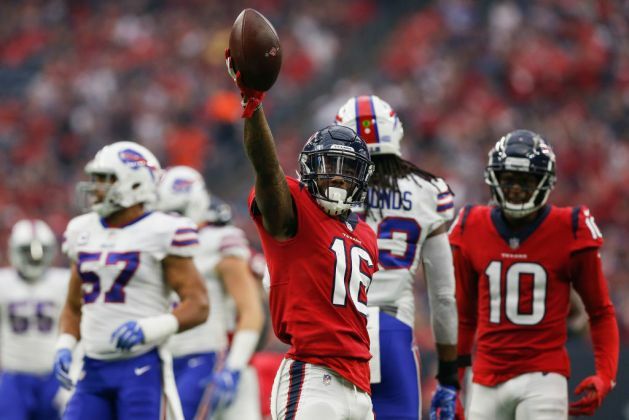 Coutee is not the same type of receiver as Fuller, but the rookie has already shown a connection with Deshaun Watson. Coutee is my number-one add on the waiver wire this week. There is no denying the talent Moore has in the Panthers offense. The team spent a first-round pick on the 21-year-old, and clearly have big plans for him in Carolina. We saw the first glimpse of this in Week 8, when Moore, starting for the injured Torrey Smith, caught five of six targets for 90 yards, adding an additional 39 yards on two rush attempts. Smith may return soon, but there is no way Ron Rivera can keep his talented rookie receiver on the sidelines after his mini-breakout performance. Moore is a great upside add this week. Just when you thought he was out of the picture, ol’ Larry Fitz finds his way back into fantasy relevance. The future Hall of Famer reeled in eight of 12 targets for 102 yards and a touchdown against the 49ers this past Sunday, in what was easily his strongest game of the season. Arizona’s new offensive coordinator, Byron Leftwich, stated his desire to save Fitzgerald’s season after taking over for the fired Mike McCoy, and it looks to be happening. The Cardinals are on bye this week, but grab Fitzgerald on waivers now if he was previously dropped. Amendola has played a huge role in the Dolphins’ offense over the last three weeks. During that stretch, the 32-year-old receiver has snagged 19 of 24 targets for 186 yards and a touchdown. The injuries to Albert Wilson and Kenny Stills have certainly contributed to the veteran’s target share, but even with Stills set to return soon, Amendola has seemingly carved himself out a nice chunk of targets in Miami’s passing game. Amendola is a solid add in all formats, but gets a boost in PPR leagues. Doyle enjoyed a strong return to the Colts lineup in Week 8. After missing five games with a hip injury, the tight end caught six of seven targets for 70 yards and a touchdown, which instantly threw him back onto the fantasy map. We all know how little depth the tight end position has had this season, so even a small chance of some consistent TE play is more than enough to warrant an add. The Colts are on bye this week, but Doyle should make a solid TE for the rest of the season.